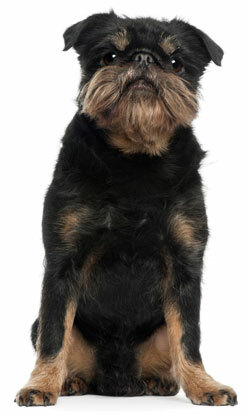 The Brussels Griffon is 7 to 8 inches tall (to shoulders) and weighs 8 to 12 pounds. He has a medium-length, wiry coat. His coat color can be red, black, black and tan, or reddish-brown and black.